Dr. Herwig van Staa – President of the Tyrolean Landtag. Herwig van Staa was born on 10. June 1942 at Linz in Upper Austria („Oberösterreich“).He attended primary school in Bad Leonfelden (Mühlviertel) and completed his secondary school studies in Wels, where he passed his `A´ levels in 1960. Herwig van Staa has been living in Innsbruck since 1960. He studied law, social and economic science, folklore, sociology and medicine. He completed his studies with the following titles: Ph.D., LL.D., Mag.rer.soc.oec. From 1970 onwards, Herwig van Staa was managing director of the Institute for Rural Development, working especially in the field of social and regional research. In 1974 he became University assistant at the Institute for Alpine Agriculture and Forestry at the University of Innsbruck and has been assistant professor and head of this institute since 1980. Assisted by Ing. Josef Willi he established the internationally renowned Research Department for Agricultural Ecology at the Institute. Since 1976, he has also been a contract teacher for social science at the Academy of Social Work. In 1989 he was elected member of the town council of Innsbruck. In December 1993, together with other like-minded members of this council he founded the political association “For Innsbruck”. On 24 April 1994, the next elections of the municipal council of Innsbruck took place. Herwig van Staa and his “For Innsbruck” movement came out as surprising winners and, as a result, he was elected Mayor of Innsbruck by the town council with a majority of 35 out of 40 votes. In spring 1995, he was elected Vice-President of the Austrian Towns Association. Since July 1995, he has been President of the Austrian Town Platform for the Austrian People´s Party and President of the European Local and Regional Government Association of the European People´s Party. In July 1996, he was elected Vice-President of the Chamber of Local Authorities of the Congress of Local and Regional Authorities of Europe (CLRAE) within the Council of Europe. In 1998, he became President of the Chamber of Local Authorities of the CLRAE. In May 2002, he was elected President of the CLRAE. From May 2004 onwards he´s been Past-President of the CLRAE. 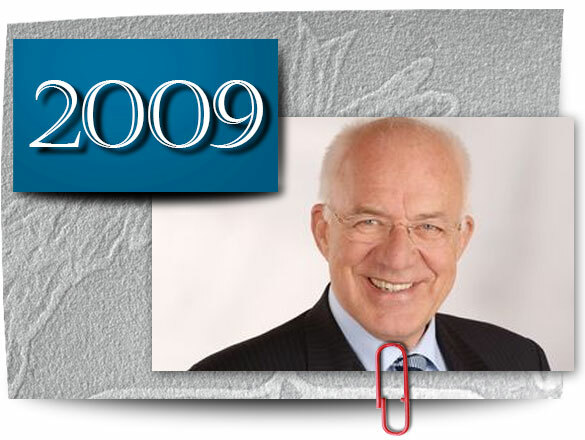 Since February 2004, he´s been Vice-President of the Committee of the Regions and leader of the Austrian delegation. In ovember 2008 he was elected Prsident of the Conference of Presidents of the Regional Legislative Assemblies of Europe (CALRE) In October 2002, he was elected Governor of the Tyrol Region, in October 2003 he was re-elected Governor. Since 1 July 2008 he is President of the Tyrolean Landtag, the parliamentary assembly. He has been married since 1974 with Luise, born Wallnöfer, whose father, Eduard Wallnöfer, was Governor of the Tyrol Region. Herwig van Staa has one son and one daughter.